Fortunately, I brought my portable phone charger (a.k.a. 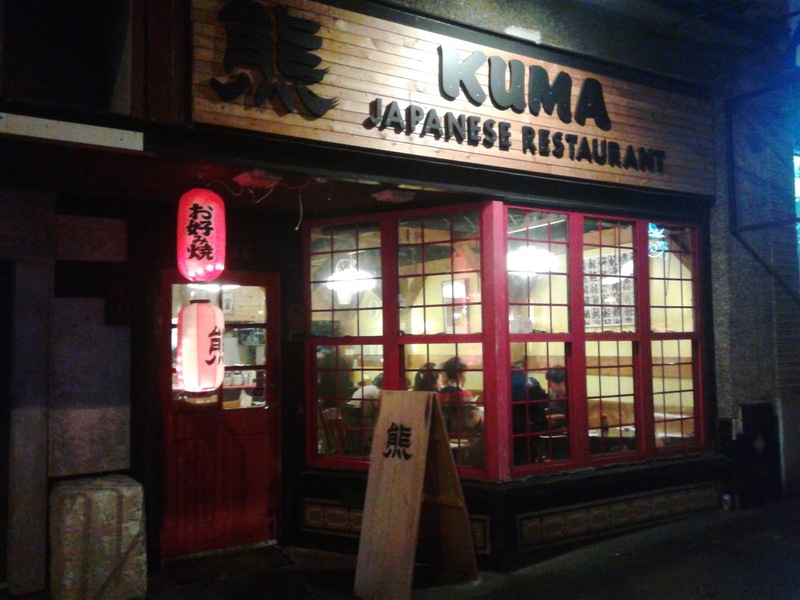 my laptop) with me, which allowed me to find my way out of UBC and head over to Kuma Japanese Restaurant, an authentic Japanese restaurant on Dunbar St. The waitresses were dressed in Japanese yukatas, and there was a very obvious effort to be as Japanese as possible. Even the music they played was traditional koto music, which made the place feel all the more desolate and spiritless. During my visit, it felt almost like a tragedy had befallen the place a few days prior, even when there were a number of other diners present. 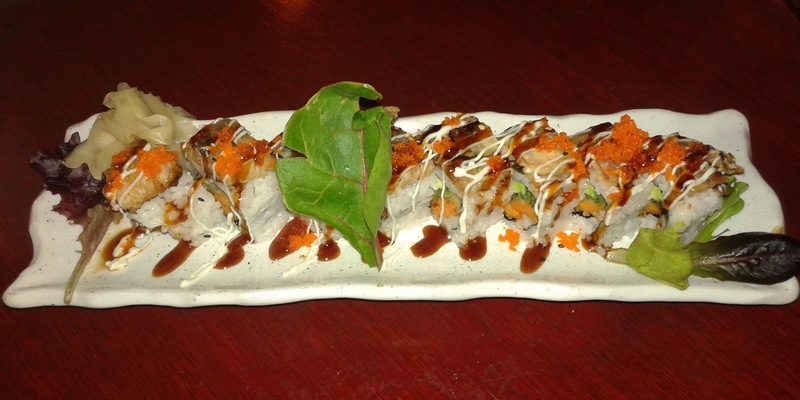 Arriving first was the Stanley Park Roll, which consisted of yam tempura, avocado, cucumber, and BBQ eel tempura. The roll was savoury and contained a good amount of unagi sauce and mayonnaise. There was not a lot of unagi, and I felt that the batter could have been crispier. 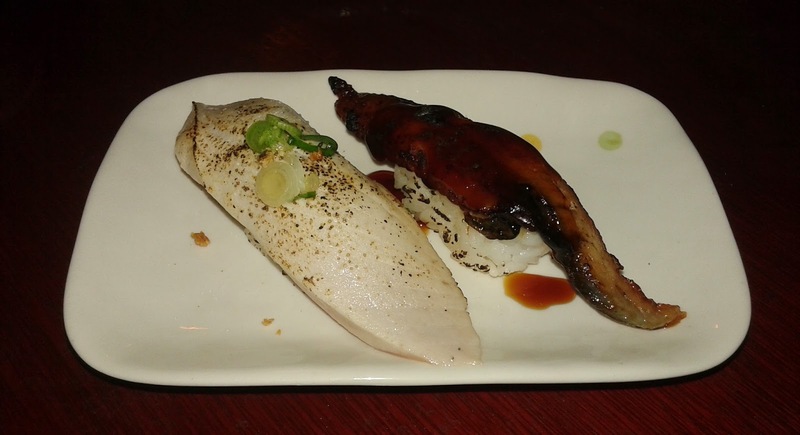 The roll was also a touch rice-heavy, but overall, I enjoyed its pleasant harmony of flavours. The Saba Nigiri was not too salty and demonstrated an excellent fish-to-rice ratio. However, I have had softer saba in the past. 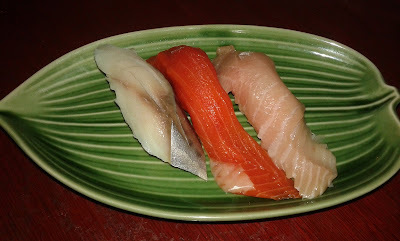 The Sockeye Salmon Nigiri was the best of the bunch, and it was very fresh, smooth, and deliciously juicy. The Toro Nigiri was also fresh and not fishy, and had a nice creamy flavour along with a soft texture. The Tuna Tataki had a nice juicy underside and exhibited some well-formed sushi rice. The green onion on top added a nice zing to the flavour of the tuna, The Unagi Nigiri looked like it was burnt to a crisp, and unfortunately, that is pretty much what it tasted like. By being overdone, the unagi had a slightly hard texture, although the savoury, thick unagi sauce helped add some moisture to make the unagi more edible. I will also give them due credit for the above-average sushi rice underneath. I have Seafood Okonomiyaki many times in the past, but this time, I decided to go for something new by ordering a Kansai-style Chicken Okonomiyaki as my filler. 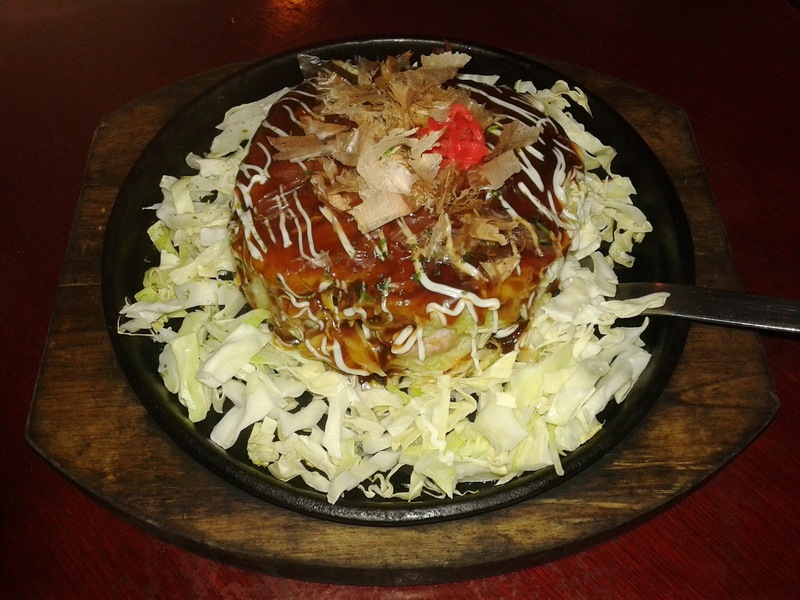 They should have called this the Chicken Okonomiyaki Tower instead because the portion size was rather gigantic and the okonomiyaki was shaped more like a sushi tower than a pancake. The pancake batter was quite melty and as soft as mashed potatoes; it was coupled with a few tender, succulent pieces of chicken. The Worcestershire sauce added some depth of flavour to the top layer, though it would be nice if some of it seeped through into the bottom layers of the pancake. As you can probably guess, I got extremely full after finishing the okonomiyaki and all the cabbage it came with, which is probably a good thing because this prevented me from ordering more food and going past the $40 mark. The service I received was very friendly and polite throughout my visit. The only thing I am wondering is, with above-average service and above-average food, what is with the gloom? I suppose it is possible that things might be livelier at lunch or during the weekend. "Each of the clocks gave me a different wrong time." LOL ikr?! I pay all that money for tuition and they can't even set the clocks to the right time? I've learned my lesson... never let your phone run out of battery while at UBC. Also, I'll try my best to make sure I never go hungry at UBC or I'll have to try the Goodbye-Money burger or endure the lineup at Save-On-Foods! I wonder what interesting things UBC will present to me during my next visit!